This year, you voted with your money at six awesome Bay Area establishments. This is the impact you made! Jonathan and Rich are the proud scholarship recipients from the Carrotmob at Old Skool Cafe. Jonathan is using the scholarship money to finish Barber College and Rich is studying International Business at SFSU. The application for bike parking is in at Mission Cheese! There will soon be a home on Valencia Street for these beautiful people’s bikes instead of gas-guzzlers thanks to you cheese-heads. While you enjoyed Nepalese curries, your Carrotmob dollars went to upgrading the lighting at Himalayan Flavors. Win-win! Yuubi Sushi sold out of the sustainable fish they served for the Carrotmob so fast they decided they want to become 90% sustainable. Now, they’re working on it so be on the lookout. 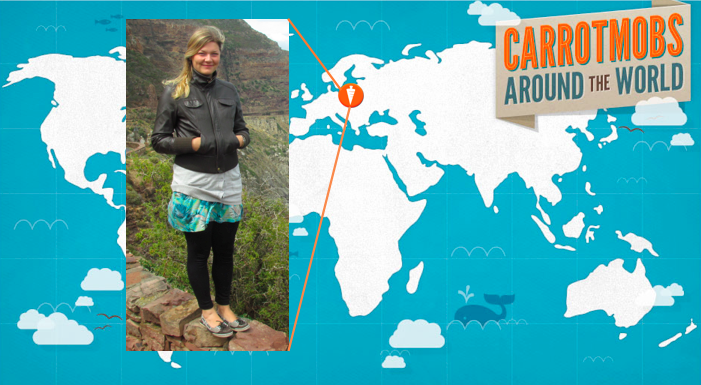 Your Carrotmob funds at 18 Reasons sent 4 kids to All Plant Parts camp. Check out these campers delighting in the healthy salad they learned to make! Mercury Cafe is soon to break ground on a new parklet thanks to Carrotmobbers. Expect to see the new community space in Hayes Valley come the fall! Congratulations mob - you made all this happen! And we're only halfway through 2013! New campaigns are on hold while we're working on an even easier way to vote with your money. We'll soon be asking for your help launching a new product. Are you ready to help? Stay tuned...the best is yet to come. 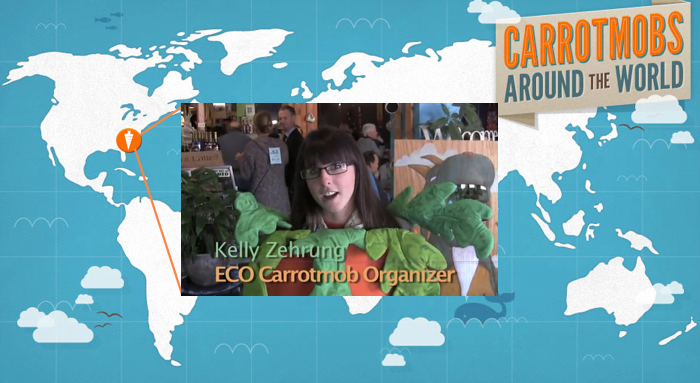 Carrotmob to help Mercury Cafe build a parklet!